HomeBlogHome DecorNewform Art. 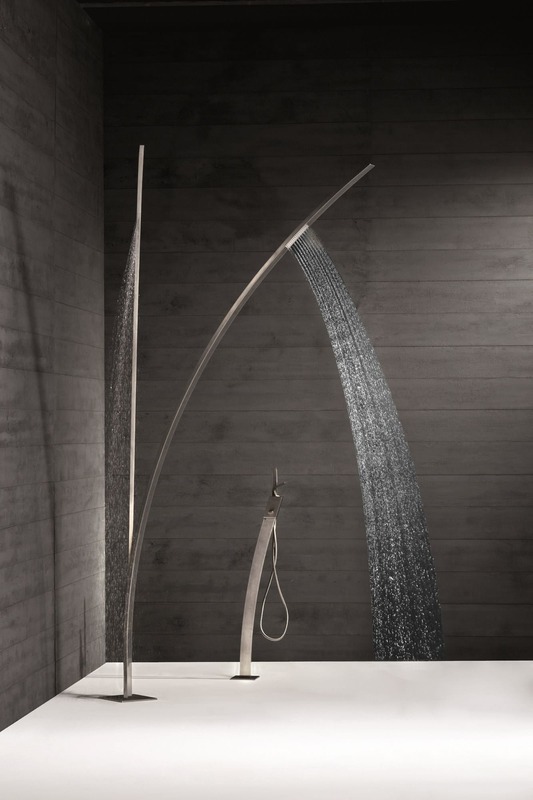 463 Stainless Steel Outdoor Shower. 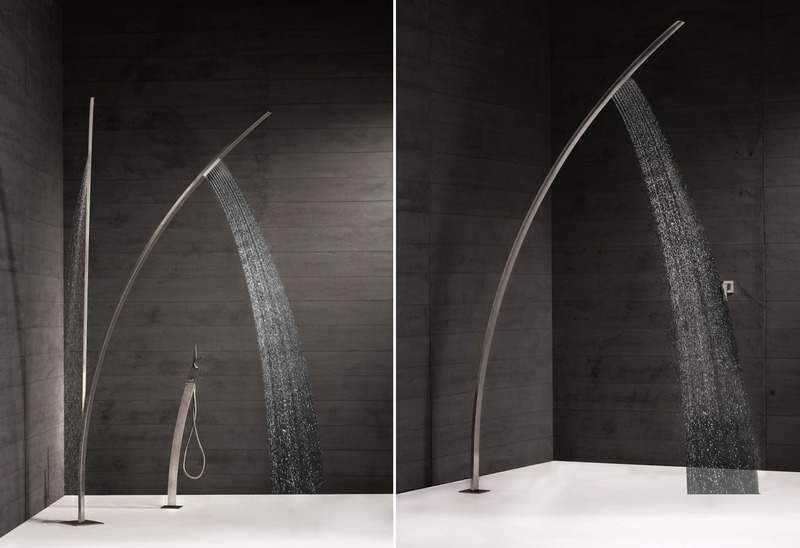 It is a floor mounted shower pillar available in single or double version, both varieties look gorgeous, however the dual shower version definitely looks more imposing. 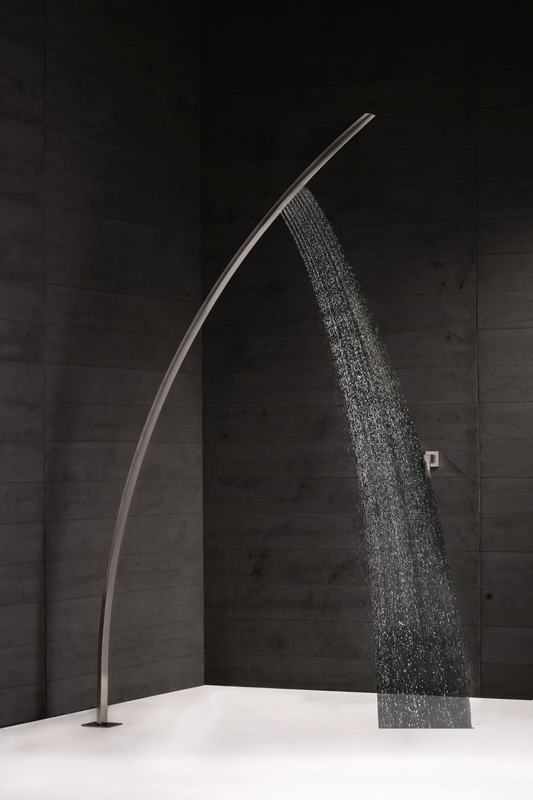 Apart from the fluid and graceful shape of the shower pillars, a defining element of the design is the absence of knobs and controls, which is key to achieve that streamlined and uncluttered silhouette. All the controls are operated through a separate concealer wall mounted mixer of your choice, or with a remote floor control. Art. 463 is ideal for outside use and will look at home nearby any modern pool, or even better adjacent to a beautiful beach. 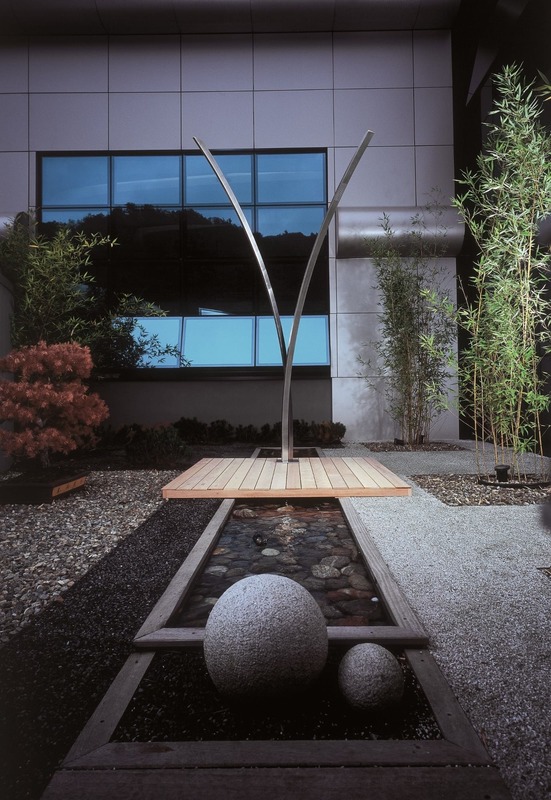 Most surely one of the best looking outdoor showers available. 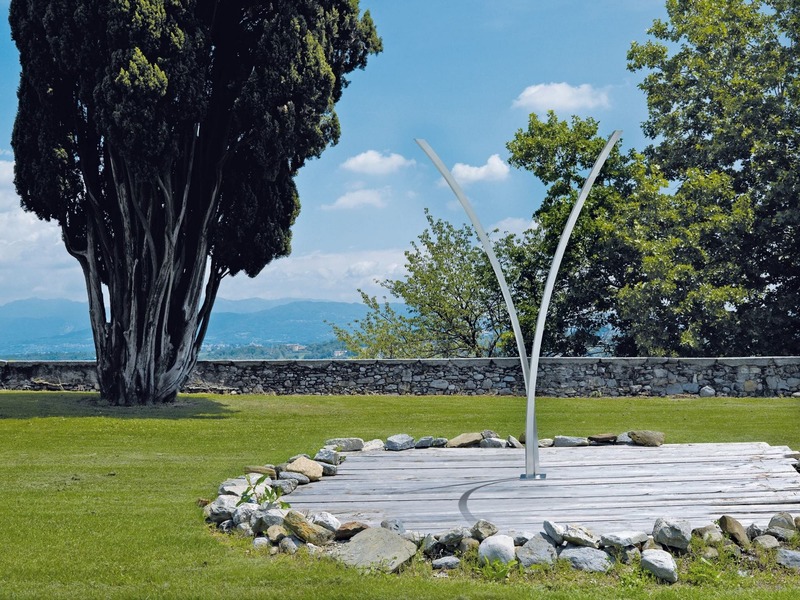 Faraway mini-pool by Ludovica & Roberto Palomba for Zucchetti KOS.